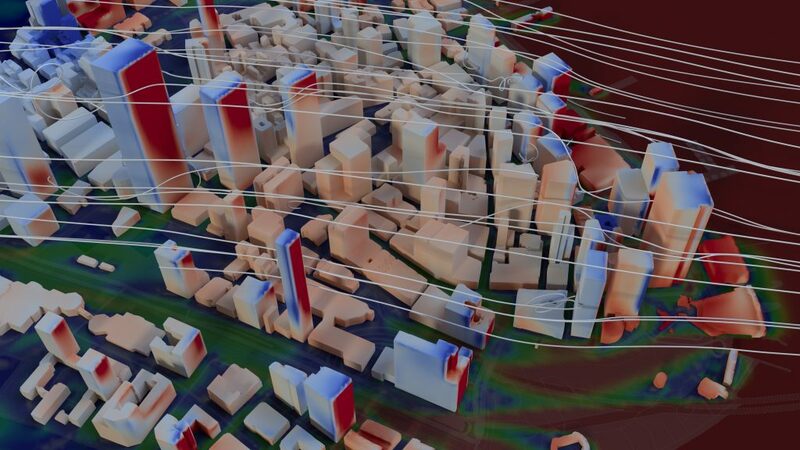 PEC is leveraging 3D urban cityscape geometry and Computational Fluid Dynamics (CFD) codes to quantitatively assess the wind environment around buildings, including anticipated envelope and structural loads, pedestrian comfort, energy modeling, and phenomena such as wind-driven rain. 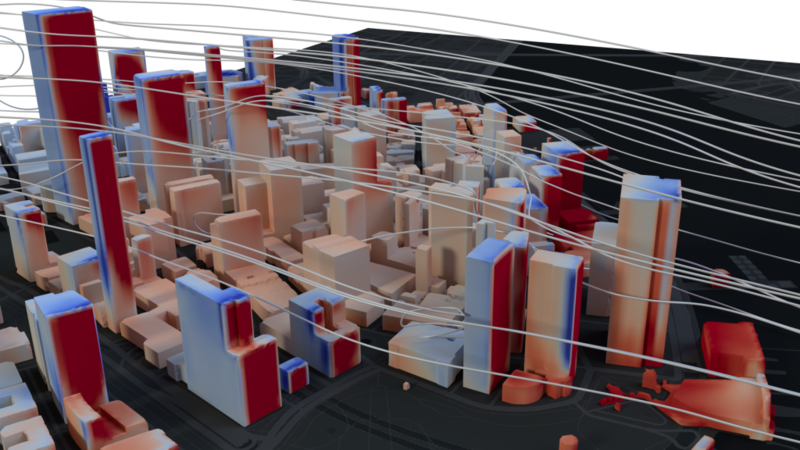 Accurate 3-dimensional data, covering most major cities, is becoming increasingly accessible and these models are ideal for numerical modeling, especially if such modeling attempts to capture the geometric effects of the cityscape. There is still considerable complexity involved in converting the raw geometric data into a format suitable for numerical analysis. 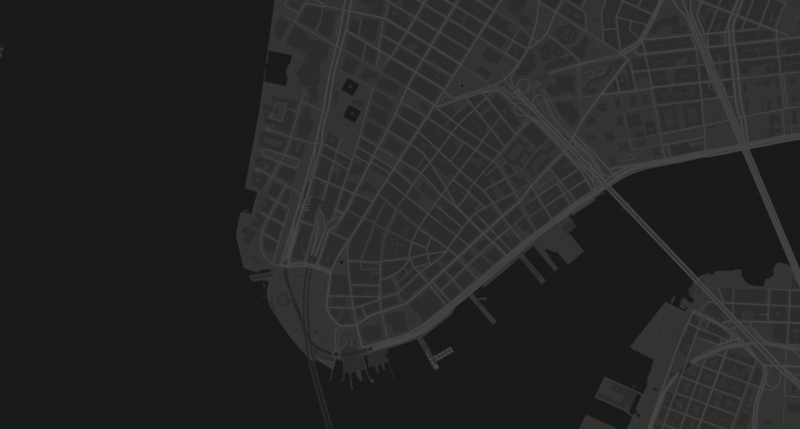 PEC has developed methods to address this technical requirement and models that have been developed and optimized for less demanding computational tasks (i.e., map viewing), can now be leveraged for modeling applications. This has real benefits for the availability and accessibility of geometric data but also means that modeling data can be fast, cost-effective, accurate and as up-to-date as mapping data. The raw geometric data to construct urban models can be collated from several sources and typically leverages photogrammetric 3D technology, geo-located high-resolution aerial imagery, and LIDAR. Pre-processing of the original facetized geometry includes non-destructive reconstruction to optimize performance by reducing the vertex/face count of the mesh and removing unnecessary vertices and edges. An appropriate mesh generation utility is required to discretize or mesh the case geometry with a high degree of automation and good parallel efficiency. 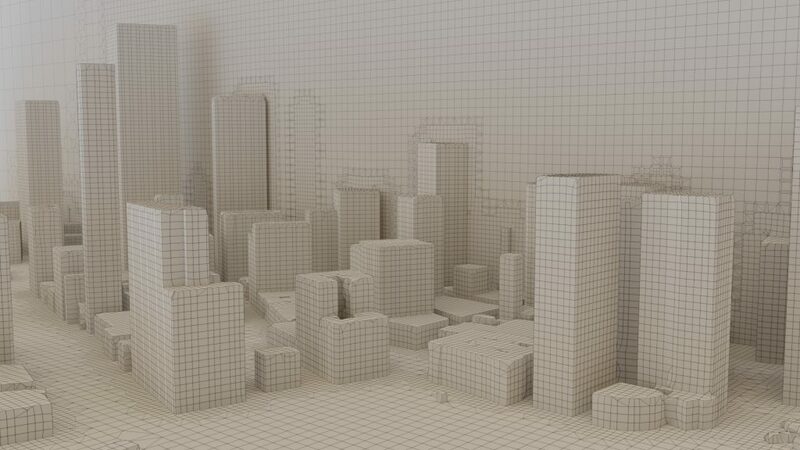 Hex-dominant meshes with an octree topology are preferred, whereby a background cubic mesh is subdivided a number of times as the ground and building surfaces are approached. At the building surfaces, the cells are modified to snap to the underlying geometry of the urban cityscape. For smaller domains (e.g., single buildings), and internal flow problems PEC leverages a large eddy simulation (LES) approach. However, for wind calculations within urban cityscape environments a steady-state solver for incompressible turbulent flow is used, which employs the semi-implicit method for pressure-linked equations (SIMPLE) algorithm. This Reynolds Averaged Navier-Stokes (RANS) solver can be used with the standard k-ε turbulence model. The RANS approach predicts the mean flow field in the domain and can be applied to achieve an accurate prediction in many cases. It is also far more computationally efficient than both the direct numerical simulation (DNS) and large eddy simulation (LES) approaches. For more information regarding PEC’s computational wind engineering services, please contact Eric Sammarco.